When Leonie is invited to Rachel Richmond's English country mansion, she's immediately impressed by the famous actress's sophisticated style and impeccable manners. Her first impression of Rachel's handsome son Luke,however, is a different matter entirely! A proud, aloof man, Luke Richmond takes an instant dislike to Leonie, and, used to getting his own way, he repeatedly asks her to leave. But Leonie has been commissioned to write Luke's mother's biography; she's not going anywhere especially now she's realised that Luke's got something to hide! when will it be uploaded onto Mangafox? Found it on Mangafox but with no chapters. 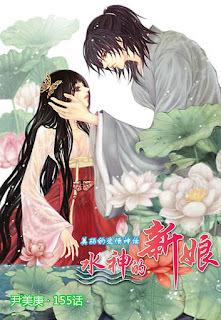 Where can I find this manga or should I say all the Harlequin manga? how do u join the forum? One more thing. I would want to download them but the problem is that the computer is kind of old and it takes ages to download a small thing. Is there any other way I can read all the Harlequin mangas without downloading them. Like for example a website. Please do uploaded them onto Mangafox. I have the same problem as the person above this comment. Oh stop nagging, SMS already graciously translated the series for you, they have no obligation to upload them to mangafox or any other online reader. Don't be a pest. Thanks for uploading it onto Mangafox. keep up the good work!